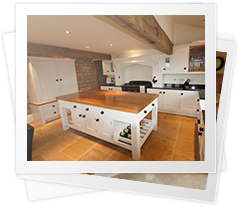 When Millhouse Furniture Makers was set up in 1999 our aim was to create superior quality kitchens and furniture using timeless designs at the highest levels of craftsmanship, we are pleased to say that we still have that ethos. Attention to detail and customer satisfaction are so important to us. The way the company has been structured ensures that all work from the design stage right through to the installation is overseen by the proprietor who has a hands-on role in making sure our standards are always met. We appreciate that your dream kitchen cannot always be designed and planned in one visit, we want you to be happy with all the details so we are always prepared to spend the time discussing your ideas and requirements. 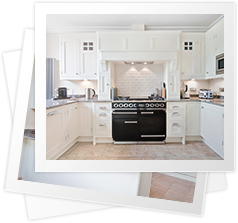 We have a wealth of experience and if you require advice at any stage during the process, whether that is the best choice of appliances or how to create the look you want without compromising on function and practicality - we’ll be there to help. Once all the details have been fixed we will then go away and work up a design and based on this we will be able to give you a quotation for the manufacture, any appliances (if required), granite and fitting. In addition we are able to provide services including plastering, gasfitting, electrical and tiling. However, if you have these already organised we are more than happy to liaise and work along with them to make sure all work is completed on time with the least amount of disruption to your home. The installation of a kitchen is usually completed within 7-10 working days.